Ecdo is a mobile application development company that makes your business a touch away on iPhone, Android or iPad. Our Android developers and iOS developers will develop creative and customer centric mobile apps to give your users and customers a ceaseless friendly experience. Our proficient android developers, iOS developers and passionate designers turn you un-fashioned ideas into user-satisfying products. Without limiting ourselves, we match your energy and serve worldwide. Let’s discuss your ideas. It is clear that the demand of mobile applications has escalated in all businesses. To deal with that, we become your accelerators for your idea to design and develop into brilliant mobile applications. Ecdo is a top-notch mobile application development company offering mobile application development services for iPhone, iPad and Android. Our team of mobile application developers are creative and knowledgeable to accomplish your individual demands as well as your business needs. With advanced tools and technology our mobile app developers are able to create highly customized mobile applications for consumer needs and enterprises. Our experience and past work is the showcase of our brilliance in mobile applications development. Ecdo is an emerging best Mobile Application Development Company, delivering diversified Mobile App experiences. Our android developers and iOS developers have grown marvelously to deliver the full range of mobile application services. We hold notable presence as a Mobile Application Development Company for creating modern and interactive interfaces of various mobile devices. We haven’t left any page unturned when it comes to technology. Our mobile application developers are trained to cope with the evolving time and users need. We have stepped in the industry and attained a level where we can turn every minute possibility into a potent mobile app. Our Application Developers have polished analyzing abilities with the skill set to frame workable strategies. The strategies then get converted into a well-loved mobile apps on Google play store and Apple app store. What Set Us Apart From Competitive Mobile Application Developers? We define the Mobile apps feature and functionality with a future perspective. Of course, the app will lure the present audience but we design and develop it in a manner which makes it future ready as well. performing mobile apps for enterprise, startups and big brands. Ecdo addresses real business challenges for its clients through in-depth technical knowledge and innovative approach. Our Android developers and iOS developers are well versed with the technical know-how of their field and commitment to deliver a quality-rich mobile app that too in time bound manner. Ecdo has a streamlined process of development covering each and every aspect of designing to development, from testing to maintenance; we take care of it all. 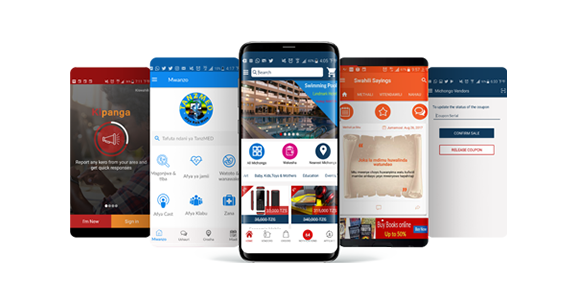 Ecdo takes pride in delivering the best mobile application development services to some of the big brands like ABB, Leica, Samsung, Xerox, Sonion and eat easily. The company till date has deployed 450+ mobile apps in all the leading App Stores that are currently used by millions of active users worldwide. Are You Searching for A best Mobile Application Development Company? If the answer is yes, then you are in right place. We know the local and global needs and create a concrete solution that fits best with the client has in his mind. A wireframe by our designer helps the client to satisfactorily move ahead with the development team. If you are a non-IT person and don’t possess the technical knowledge, we give you a quick tour of the entire process and a rough module of the final output through the wireframe of your mobile application. Our company involves with the client in each phase whether it is designing or development. The next phase is bug fixing and quality assurance which assures you of the glitch-free solution. Also, we relinquish our clients with the post-deployment support and maintenance service for their satisfaction. mobile application development turn That concept Into truth you obtain a top notch idea for an app, we were given a crew of application developers geared up to make it happen. whether it is iOS, Android to even windows, our application developers are hungry to place anything app concept you've got into every mobile device out there! Design, development or both? Our application developers are bendy to satisfy your wishes, whether or not you need us for the design part or to the whole fledge development of the app itself, we are able to assist either way. Our operating procedure is designed to be excellent seamless so that you can focus on the massive outcome. iOS Mobile App Development iPhone is a notable and far-famed mobile device used by the Smartphone lovers across the world. The immense demand of it gives a straight away signal that not only assures good return on investment for the iOS mobile application development but also does well for the users. 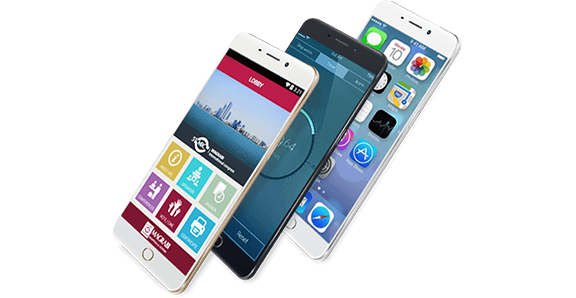 Ecdo is a prominent iPhone Mobile application Development Company that offers top-notch, flawless and dynamic iPhone mobile application development services all around the globe. Considering the necessary and sufficient requirements of the clients, we offer to build variety of enriched iPhone mobile apps. Our work-flow model is totally selective and quality oriented. It assures practical and profitable outcomes overall. A Comprehensive iOS Mobile App Development Methodology: Apple We provides a comprehensive iPhone mobile app development process with customer centric approach. For every project we perform following procedures: Define project scope, Assess feasibility within budget, Analysis & Planning, App coding as per guidelines of Apple, Regular customer demonstration and feedback Various Industries We Serve for iPhone Mobile Application Development: Industries having explored and developed iPhone mobile app for various industries, we cater to serve in following areas like: Business, Health, E-commerce, Education, Social networking, Entertainment, Finance, Game Our Capabilities: Capabilities: Work exclusively on iPhone SDK, Knowledge of using iPhone simulators, Explore best features of latest version of iOS and iPhone, Rated 4.9 out of 5.0 for mobile development by 150+ clients on over 400 projects, Efficient UI for your app Have An App Idea? Let us know your concept and we will assist you to convert it into mobile app. Our team of expert ios Mobile application developers will put your idea into real mobile app to meet consumer demands or your business objectives. Do you have a idea in your mind? Feel free to share your idea and get your mobile app developed. Android Application Development Android – a fastest growing operating system of smart phone devices has been popular with its each update. Its versatile, user friendly mobile applications & flexibility has made it more favorite. Our expert team having updated knowledge of latest android release invents profitable android mobile apps. Ecdo is renowned Android mobile app development company offering professional android mobile application development services. Our Professional team of android app Developers performs deep research and analysis to meet your requirements and expectations. Accessing wide range of tools and technologies we create customized mobile applications which are powerful and scalable for any android devices. We are providing android mobile application development service globally. Why Android Mobile Apps Development Company? We at Ecdo conceptualize, design, develop, test and deploy as per your demand. By using our services, you can expect: Confidentiality of information & Data Understanding mobile app development idea Research & analysis of mobile App requirements Expert android developers Customer centric procedure Accurate and user friendly mobile apps Pronounceable qualitative development process Android mobile Apps – A Wide Scope for Different Industries Android is a vast market with 3.6 million apps at present. In any business or category, there will be a whopping demand for Android mobile apps. Having developed mobile applications for various industries, our professionals are efficient in utilizing vast scope of android. We have built mobile applications for multiple domains like: Finance Financial management is tricky yet important thing to do. Having Android mobile application for finance will enable you to maintain and calculate your expenses, channelize your income, suggest you where should you allocate your funds, ways to make savings and many other things you can and you should do. Business Whether you have a restaurant business, grocery business, clothing business, Android mobile app is a must-have for any business you own. It allows you to generate a new channel for revenue, build a brand, and get more customers. Game Gaming mobile apps need high performance, great graphics, and higher amount of testing and stability where Android developers of Ecdo excels. E-commerce E-commerce needs more customers to generate more sales and promote business. 75% of the market is covered by Android and to grow your e-commerce business, Android app is mandatory. Travel and map This is one of the biggest industry using Android mobile apps. Majority of the people loves to travel and a majority of the people uses Android device and definitely use Android mobile apps for hotel booking, flight booking, navigation and such other things. Healthcare Our veterans have an immense amount of expertise in developing fitness mobile apps, weight loss mobile apps, and fitness tracking mobile apps. We also have the features like calorie counter, steps calculator, sleep tracker, and water calculator. Upper Hand of Android mobile apps Open Source Yes, this can save your mobile application development cost and also save the entire licensing process. Android for Working Android mobile apps are enterprise-ready which makes it perfect for business and work. Wide User Base Android has covered 75% of the market and ruling the app world. So, building an app in Android is going to be beneficial. Easy Access Android mobile apps get listed more easily as compared to the iOS apps. The rejection rate is very low and the mobile apps get easy access. What Can We Do For Your Android mobile App Requirement? Ecdo offers cost efficient and reliable android mobile applicaition development services. To meet your business objectives, our expert android developers provides amidst solutions. Acute knowledge, influencing abilities and proficiency in developing android mobile applications are some distinctive features of our android app developers that make our company incomparable. Developing mobile apps in almost all android OS versions for years, we are now expert in building Android mobile apps. Have an App Idea? Share it with us and Experience our quality & reliable Service Today!! Mobile Application Development Platform, Mobile app development services for your unique ecosystem. Build Mobile Apps as you like. Ecdo Mobile application development platform lets you create smart and agile mobile solutions for even the most complex workflows, deployed in no time. Revolutionize your workplace with workflow-specific mobile apps developed to suit your ecosystem & business processes on our Enterprise Mobile Application Development Platform. Instantly develop and deploy mobile apps for a wide range of use cases. Our platform offers one-click integration to over 500 third-party mobile applications with built-in connectors for legacy systems, to develop and deploy enterprise-grade mobile apps rapidly. MOBILE APPLICATION DEVELOPMENT PLATFORM Our mobile application development Platform offers a very unique and different approach to building technology solutions. With a platform that has powerful inbuilt tools - granular user access, powerful reporting, unified communication platform, reliable security model - your mobile app ideas get implemented within weeks. Build Mobile Apps at 10X Speed Visually develop your mobile apps at rapid speed with on-demand business modules Mobile Apps that Connect to YOUR Systems Connect the mobile app to any existing system at the click of a button, seamlessly! Visually Stunning UI Offer native-like mobile app experience and responsiveness to your customers Meaningful Data, Anytime – Anywhere Extend your business’s value by connecting with hundreds of front-end and back-end tools Industry-Best Security Solutions Keep all business critical data safe behind enterprise-grade firewalls with Ecdo Mobile application development platform Remarkable Scalability Is your business growing exponentially? Simplify the complexities of increased users and data volume Mobile Apps that Work on All Platforms Deploy flawless mobile apps across the Cloud or on-premise, on iOS, Android and Windows, effortlessly! From Specifications to Deployment Experience the power of real-time metrics and reports in the palm of your hands. Ecdo handles it all. On-Demand Enterprise Mobile Apps on Ecdo Mobile Application Development Platform Getting your next Mobile app out the door is easy with Ecdo Mobile Application Development Platform. Save time and start with one of on-demand business modules, for web and mobile, that offer organizations with inbuilt best practices, well-established business process workflows, which make it easy to make an Mobile app faster.